If you are reading this blog, you all ready know that I am obsessed with plants. Not the big-box garden center, common, cheap variety; but the expensive search-the-world-over kind. My obsession sometimes leads to sinning, as in coveting someone else’s plants. I am ashamed to admit this is true. Breaking a commandment over a plant. I have always wanted a paperbush shrub, but feared one would not survive in zone 7. When I saw one blooming in a neighbor’s yard I almost ran off the road. Thoughts of coming back late at night with a shovel crossed my mind. Do they have a dog? Would the chickens squeal on me? 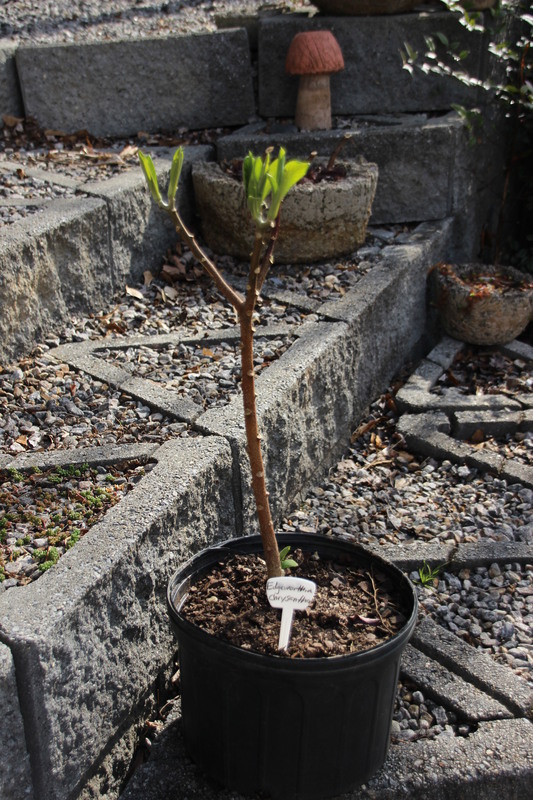 So I was thankful to find an Edgeworthia chrysantha at one of my go-to places for the strange and obscure. It was dormant. It looked like a stick. There was no tag. I had to buy it on faith. Lots of faith. Mr. Flower looked at the pot with the stick in it and the expensive price tag with a puzzled look. There is no arguing with a woman obsessed. My new baby is sprouting leaves. I hope these don’t end up being expensive snacks for our herd of deer. 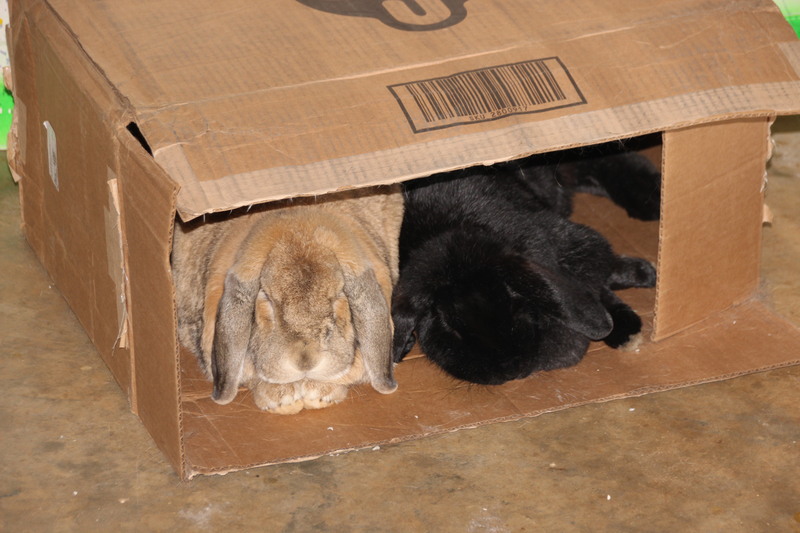 Bunnies are packed up and ready to be stolen by someone who covets rabbits. Just sayin. That little stick will get big! Remember that from someone who didn’t. They grow VERY WELL in our zone. Bring Rachel and come see me some time. I took a decopauge classs one year. Aah yes. You are the one with the coveted pomegranate tree.